Most people love to travel as a getaway from the same old routine. The problem, however, is that few actually enjoy spending oodles of money for a short trip to a new place. Apart from that, it’s often difficult to squeeze a trip overseas into a hectic schedule. Professionals can usually use only their weekends to experience something new; that means anything longer than a three-day, two-night escape is actually inconvenient. However, Dubai’s busy citizens are making it work. Their solution to the need to get away without stirring up a frenzy of activity? A staycation, or a vacation spent right where you live or just in nearby areas. Not only is it more affordable and easier to make time for, but a staycation can also be just as enjoyable as an overseas or out-of-town retreat. Dubai offers abundant possibilities for a delightful staycation as well. Dedicating two days for it is enough to enjoy a variety of experiences to feel renewed. 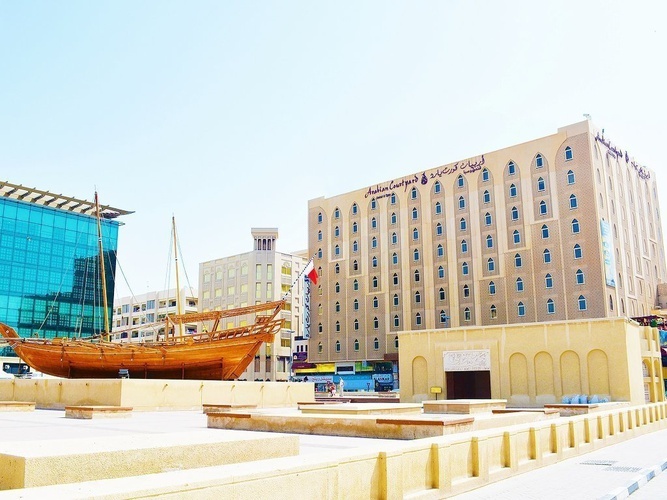 The City if Gold has it all — beautiful hotels (like the Arabian Courtyard Hotel & Spa), theme parks, gastronomic destinations and other local attractions. Are you looking for some R&R? Or perhaps, you want to check an item off your bucket list? Establish what kind of experience you want first in order to find the city’s provisions that can create it for you. For example, if you really just want to pamper yourself and be treated like a queen after a stressful work week, you should look for a place that offers different kinds of massages and wellness treatments. The Arabian Courtyard Hotel & Spa, for instance, is right in the heart of the city and it’s known all over Dubai as a wonderful place to stay if you want a to provide yourself some self-care. This is a must if you’re looking to create an experience for yourself. Once you’ve set your budget, look for staycation offers that you can fit into it. There are always special hotel room deals, spa offers and discounts to consider. When you visit various accommodation and booking websites, you’ll be treated right away to the offerings that will give you the best bang for your budget or even save you money. Savvy travelers also advise making the concierge work for you. If you really want to pack your staycation with amazing experiences, get the hotel concierge to help you plan it out. Provide your budget and have him hook you up with tours and local events. Typical vacations include things to try and do; the same goes for staycations. Write down the different things you want to include in the experience, such as a trip to the new restaurant within the area of your chosen accommodations, or a yoga class, or taking photos at a special location. Your staycation will be a more enriching event in your life if you incorporate “must-dos” to it. A staycation is still an escape, so treat it precisely like one. It’s not a real “vacation” unless you plan out your outfits. In this age of Instagram and Pinterest, OOTDs (outfits of the day) are very much a part of taking a fun trip to anywhere, be it near or far. There’s nothing like always looking cute and picture-worthy to make your staycation more exciting and memorable. What’s more, wearing carefully picked stylish ensembles will put you into complete “vacay” mode. It wouldn’t feel like your home is just a short drive away when you’re all dressed up! This is something you do when you’re on a regular vacation, right? Then it’s a must for your staycation as well. Create as many memories as possible of the experience you’ve created to take a break from the usual routine so that you can reinvigorate yourself. Seasoned staycation-ers also say that by taking lots of pictures, you create a good reference for future staycations. Make sure to gather mementoes of your staycation. Set aside a small budget for shopping for everything, from keychains to mugs, to candies and T-shirts. By including a bit of retail therapy, you’ll really feel like you have gone out of your way to treat yourself to something different. Dubai has some of the busiest and most competitive professionals in the world, but they surely find creating a good balance between life and work balance quite simple to do. Going on staycations is one way to achieve that balance; it’s an accessible and effective way to take a break and regain joy in life. So, if you’re craving a joyful experience, a staycation may be just what you need! And remember to check out our news and blog section for more exciting travel ideas.